PRIME DEVELOPMENT POTENTIAL! 19+ Acres in to parcels to be sold as one purchase as potential development property located off Hwy 43 and Hart Rd w/ Hi Vis Location. 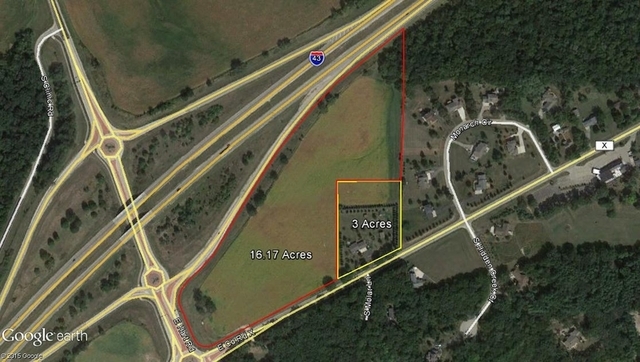 3 Acres w/ home & 16+ acres zoned Ag. See Documents for 2019 I-43 / I-90 development! This Property is being offered for sale as Prime development potential! Two parcels totaling 19+ Acres to be sold as one purchase as potential development property located off Hwy 43 and Hart Rd with Hi Vis Location. 1st exit east of Beloit See Documents for proposed 2019 development Property has development potential, all potential future uses will need approval from Beloit & Turtle Township. Property is only view-able with proof of funds and written intent of potential use. 5% Buyers Fee Sale. Storage units, motel, hotel, truck stop, restaurant, gas staion, convenience store, fast food, big box store and much more potential. This property is located at the Heart of the 2019 development proposed for I-90 / I-43 diamond Interchange that will change the way you exit I-43 to get into Beloit! Have potential ideas….securing an option will be considered! All potential development will need to be approved through City of Beloit and Turtle Township.